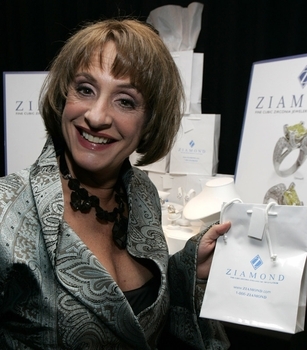 Stars and celebrities like Patti Lupone come to Ziamond Cubic Zirconia CZ Jewelers for the styles and designs we offer. Ziamond features many styles of jewelry for every lifestyle and occasion. Ziamond cubic zirconia cz jewelry is always set in 14k gold, 18k gold or platinum mountings. The cubic zirconia cz that we offer are the finest hand cut and hand polished cubic zirconia cz available. Come to Ziamond and see why we are the leaders in the cubic zirconia cz industry.